Welcome to the January 2013 Prize Vault giveaway! 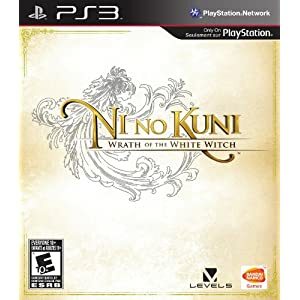 This month, one active forum contributor as voted on by the Game Podunk Moderators will win their pick of a brand new copy of either DmC: Devil May Cry (360 or PS3) or Ni No Kuni: Wrath of the White Witch (PS3 only) along with a number of other random prizes (*please see the disclaimer at the bottom about the used games that may be offered along with the random prizes)! And like last month, the contest qualifications will continue to focus on thread creation and new topics in the forum, though we'll still be looking at participation through good comments as well. See additional details below for more info. Since November of last year, we've implemented somewhat of a change in the rules/qualifications to win the prize vault. We'll still be watching to see who makes great comments and so forth, but we're putting an extra emphasis on thread creation and who can create the most interesting topics. Basically, share anything really cool and unique that can generate a discussion. The member whose topics are considered the best and most interesting by the end of the month (by the mods and me) will win the prize vault. Great giveaway as usual..tough choice between games this month! Thanks for the giveaway.I will try not to spam. Wow, this is great stuff! Both titles are equally deserving of going to a lucky winner. Good hunting all! I won't lose to Ludono again! Hopefully 3rd time's the charm. Gonna have to better posting than last Prize Vault's giveaway. Pretty much gave it my all and still lost lol. I guess I have to pull something outta my sleeve. Im just here to moraly support you on this one. Come Tk you can do it! Woo! Although... how funny would it be if you came 2nd to Ludono yet again? Not funny... okay my bad. As always thanks for the giveaways guys. If that happens then I smell conspiracy! Anyways I hope everyone does their best including you to win the Prize Vault. I will support you and everyone else and may the best active poster win! Woo! It did take Ludono forever to win his second one. You've won once, right TK? I have never won a Prize Vault yet. I have won from diff contest from this site though (Lollipop Chainsaw) and a few times from your contest (I think it was mostly for xbox live stuff and some steam codes). IT WOULD BE SO FUNNY. LETS MAKE IT HAPPEN. Looks like two great games for this prize vault good luck to everyone . Oh man why am I so socially awkward and unable to start conversation *jumps off cliff*. They're pretty much the only big games out this month, so there is that too, lol. 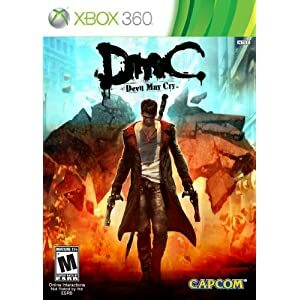 Woot thanks for the chance at getting DMC. Nice contest. Good luck to anyone who tries to win it(too much effort for me). Hehe, yea I don't really have a lot of interesting things to share. I just reply to people post . Like this one . Good luck on the vault. I am highly interested in this vault and hope I win. Lol. I haven't won since March, so I'm thinking I will be due pretty soon like you. If there was a winner right now, it's definitely going to be you. You've been putting up great threads about the Wii U and other different ones throughout December and January so far and they have been a great read/discussion. Woo! As always just gotta do my best and keep working hard. Good luck Kezins and to everyone on GP! Yea I think Kenzin been doing a really good job. Good luck all. KEZINS FTW! Now lock this topic, Jason.